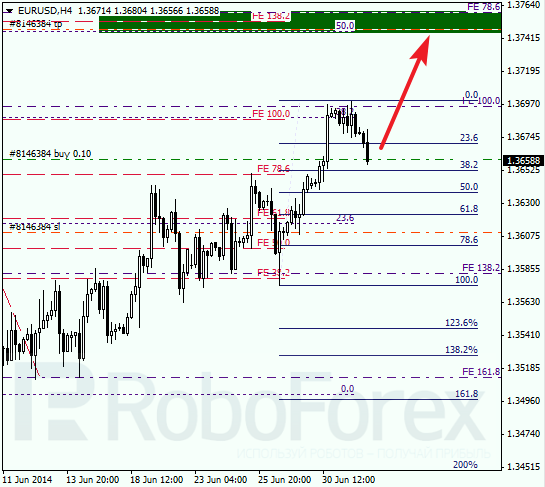 Euro started new correction with its first target at local level of 38.2% (1.3451). If price rebounds from it, pair will start new ascending movement towards the group of upper fibo‑levels at 1.3760 ‑ 1.3750. 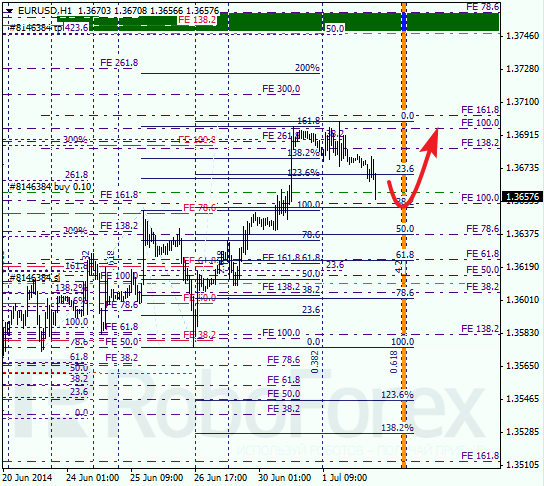 As we can see at H1 chart, after rebounding from target area formed by several fibo-levels, price started correction. Considering that pair is getting closer to temporary fibo-zone, instrument may rebound from level of 38.2% right inside it. Franc is also being corrected; closest target for bulls is at level of 38.2% (0.8893). If pair rebounds from it, bears will start new descending movement towards the group of lower fibo-levels at 0.8815 ‑ 0.8805. Possibly, current correction may complete inside closest temporary fibo-zone. If price rebounds from level of 38.2% and then breaks level of 23.6% downwards, I’ll increase my short position.